My name is Dmitry Sotnikov and this is my blog/site to help me and others keep up-to-date on the ever changing landscape of Cloud Computing and Software-as-a-Service and their application in the enterprise. My background includes various positions in Software Development, Technical Communications, Technical Support (was setting up 24×7 phone support in Aelita Software – that was a fun job! ), Product Management, and now New Product Research. Right now I am mostly involved in strategic planning and directions for Quest’s Windows Management Business Unit and our Microsoft collaboration. I am doing a lot of traveling meeting with Quest staff globally, our customers and partners, Microsoft, attending conferencing, talking to press and analysts. Dmitry- first of all, thank you for the content on your site. Appreciate Gartner data especially. I heard that Verizon Business will be entering into the IaaS/CaaS space this year. What challenges do you see for VZB to emerge as one of the front runners? And what advantages does a large Telco like VZB have because of who they are? This is a good question. Telcos have the infrastructure, money to invest, and desire to diversify their business – so going into cloud computing provider model is quite lucrative for them. However, they are not really viewed as cloud vendors yet. My guess is that they can become viable players if they partner with others: e.g. join VMware and host vCloud infrastructure, or talk to Microsoft and host Azure when it is ready. Are you still updating the Cloud Computing Incidents Database or has that quiesced? (http://wiki.cloudcommunity.org/wiki/CloudComputing:Incidents_Database ). I ask because the recent Amazon EC2 outage (http://blog.internetnews.com/agoldman/2009/06/amazon-ec2-lightning-outage-us.html) was not referenced. The database is a community effort. It is fully open for anyone so please go ahead and add incident information whenever you spot something. 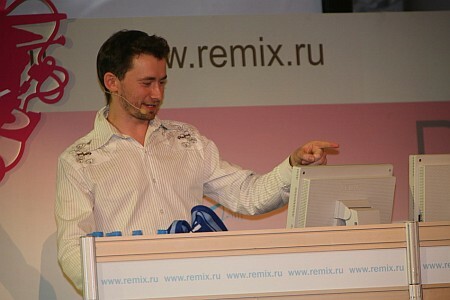 Hi Dimitry – I was hoping you would allow us to post a note about our Cloud Computing event. Cloud Slam ’10 is a virtual Cloud Computing event covering all aspects of the hottest topic in IT. The event provides for attendees to network, get up to speed with the latest happenings in the industry, and experience the technology in a lab (virtual lab that is). The event is scheduled for April 19-23, 2010. For details please see http://www.cloudslamevent.com.